Parents want the best for their children. Moms-to-be change eating habits during pregnancy – adding fruits and vegetables, drinking more water, cutting back on caffeine, and avoiding alcohol. They buy books on parenting and do research on what to expect during pregnancy and baby’s first year. They do everything they can to prevent anything bad from happening to that brand new bundle of joy. Unfortunately, nothing prepares a parent to learn their baby was the victim of a Michigan birth injury. Was this the fault of the doctor or the hospital? How will this impact the family? Will it be life-altering? When something like this occurs, you are left with more questions than answers. Sadly, the immediate joy of having a child is overshadowed by feelings of stress, anger and sadness resulting from the birth injury. Many Michigan birth complications are the result of negligence, severe physical trauma, or lack of oxygen to the baby’s brain during labor and delivery. If the umbilical cord is twisted, wrapped around the baby’s neck, or compressed during labor, the baby’s brain could suffer permanent damage because of oxygen deprivation. 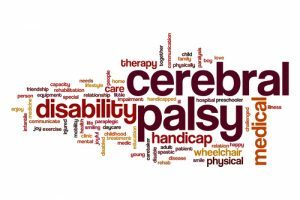 This typically results in a lifelong condition known as cerebral palsy. A child with cerebral palsy will face physical challenges, such as poor muscle coordination, seizures, and mental damage. These impairments can be devastating for the child, the parents, and the entire family. A child born in a Michigan hospital who’s diagnosed with cerebral palsy will need ongoing medical treatment, at that means extensive – and expensive – bills. Thurswell Law knows that investigation, preparation, and strategy are important to the success of your case. Our team of Detroit injury attorneys will advocate for you and review the entire labor and delivery process to determine if your child’s birth injury could have been prevented or was a result of Michigan medical malpractice. Call today for a free consultation. There’s no fee unless you collect.